From the A515 Ashbourne - Buxton road. The barrow is visible in the corner of the field as a low mound of rough ground at the grid reference. Perhaps not worthy of a visit, especially if it means going out your way, it is the finds displayed in the museums at Buxton and Sheffield that make this Neolihic barrow so well known. The mound, covering a single Later Neolithic crouched grave burial, has been excavated several times over the years both by professionals and amateurs alike. Thomas Bateman was the first in the 1840's,where excavating the centre as was his usual practice, he came across a cist of limestone slabs complete with a crouched skeleton and a range of grave goods associated with the burial. 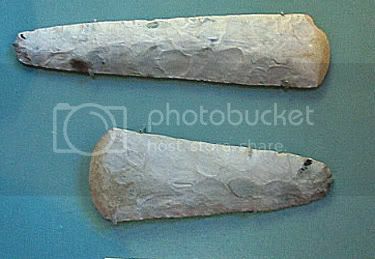 A mock-up of the cist and its contents is on display in Buxton Museum while two flint axes are in Weston Park Museum in Sheffield. The next excavations took place in the 1930's by a schoolboy staying on the farm that owns the land where the barrow is located. 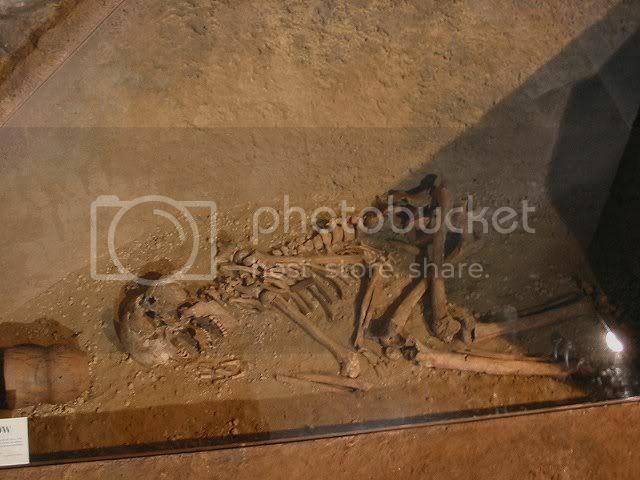 It wasn't until the early 1980's, when he was about to move out of the area, that he deposited several boxes of finds from his digging of the mound. In 1984 the barrow was investigated again over much of the area explored in the 1930's. The artefacts recovered related to the Neolithic and later Bronze Age and much later Romano-British period illustrating the barrows continued importance. This dig also found that before the barrow was constructed the ground had had another use, although that use is still unknown. The only clue was a number of postholes, both angled and straight, found on the old ground surace along with shallow pits and spreads of charcoal.